Ben Friesen (right) and Evan Bell-Foley will play key roles for the Cascades this season. 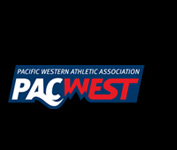 Coming off a .500 season (12-12 in PACWEST play), the Cascades men’s volleyball program will be a relatively youthful group, but they’ve got some quality veterans in the mix to provide leadership. 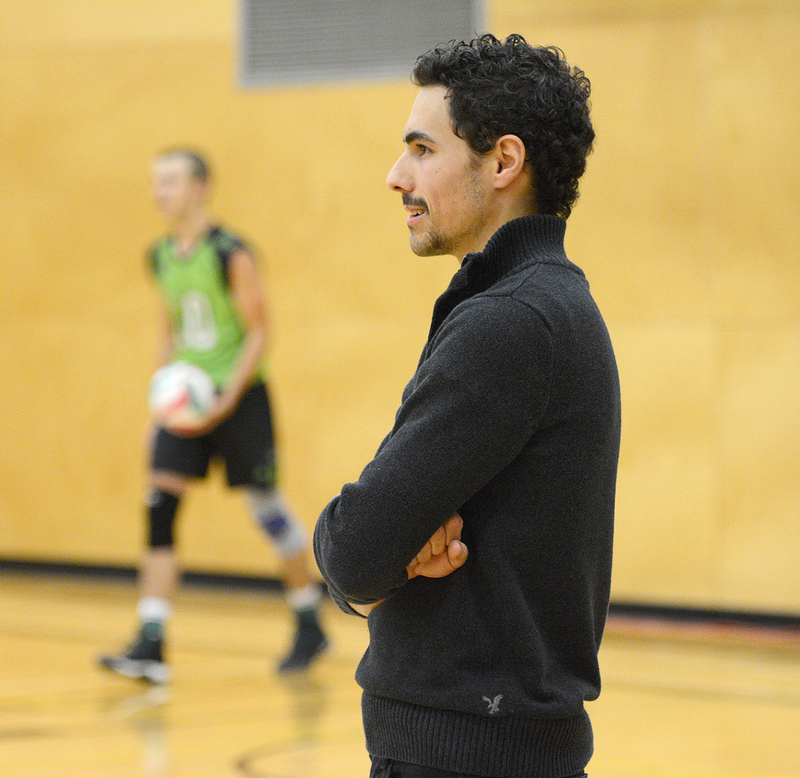 “It’s a little bit of a youth movement this year, for how many young guys we have who are pushing for court time,” said fifth-year UFV bench boss Kyle Donen. “In the long run, it’s going to really help us. 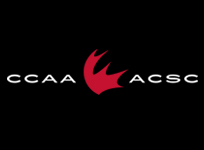 Last year’s edition of the Cascades leaned heavily on left side Nick Bruce, who earned PACWEST first team all-star honours. He’s since graduated, leaving an opportunity for others to step up. Kyle Donen is overseeing a youthful roster this season. 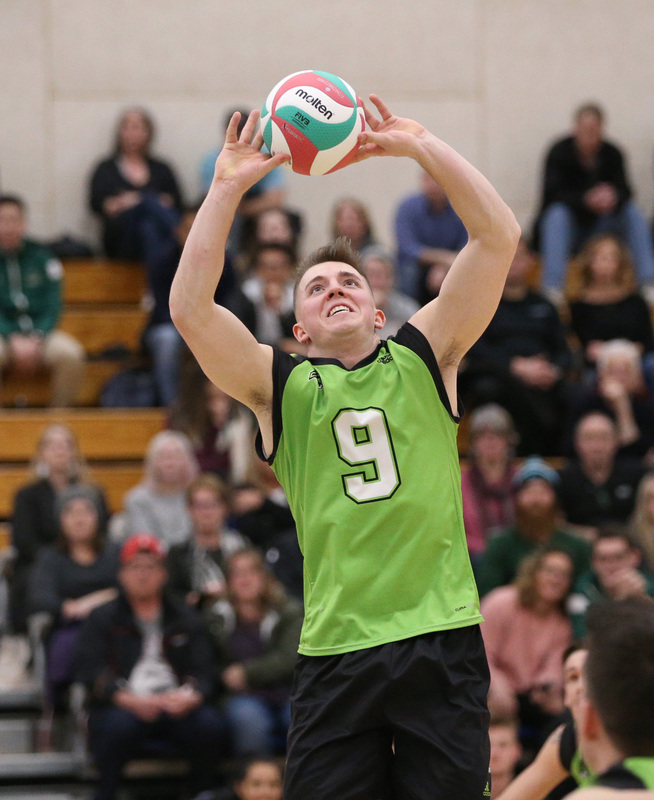 Fourth-year left side Ben Friesen will take a leading role – the Cascades’ team captain was a second-team conference all-star in 2016-17, and he finished ninth in the PACWEST in kills (2.66/set) and 11th in total offence (3.00 points/set) last season. A pair of sophomores – Justin Peleshytyk and Landon Uy – are battling for the other left side starting job, and rookie Shubdeep Wander is also in the mix at both outside hitter positions. Third-year Josh Fefchak is the Cascades’ most experienced player in the middle following Dayton Pagliericci’s graduation, and he’s coming off a season which saw him finish ninth in the league in blocks (0.52/set). 6’10” sophomore Ian Jagersma is looming large, literally and figuratively, in the battle for playing time, and first-years Dylan Neudorf, Jackson Obst and Andy Barrero are also showing great potential to contribute. 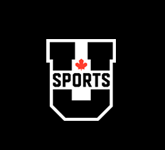 On the right side, fourth-year Matt Whittall and third-year Graeme Hughes bring their own unique strengths that can be deployed depending on the match-up. Whittall is a dynamic server and a consistent offensive presence, while Hughes elevates the Cascades’ blocking game. 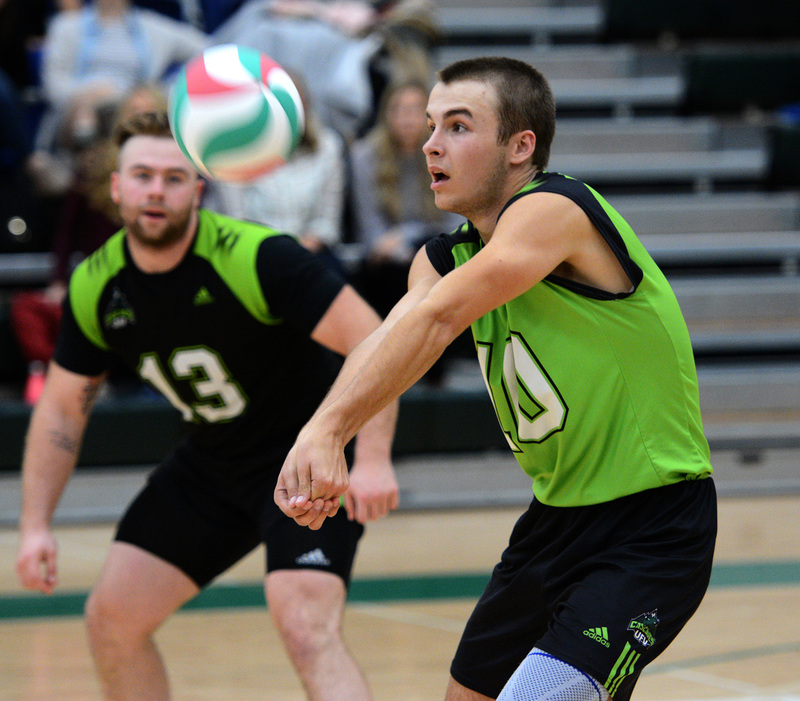 Setter Adam Frederickson brings skill and experience as the lone fifth-year on the UFV roster. The setting depth chart also includes rookie Bobby Blaskovits, who is coming off an injury redshirt season at Douglas College and played for Team B.C. during his youth volleyball career. The Cascades have an experienced duo at the libero spot in fourth-year Evan Bell-Foley and third-year Carter Bronson. Bell-Foley earned the lion’s share of the starts last season, and had nine games with double-digit digs. “The goal for us is to learn how to take our game to the next level,” Donen summarized. “For the last four years, we’ve had some really good regular seasons. It’s about trying to learn what we need to do to be successful in the playoffs. That starts with each and every weekend. 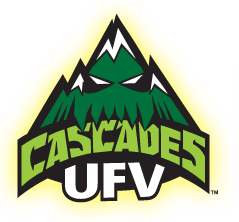 Adam Frederickson is the lone fifth-year on the Cascades’ roster this season.